I have posted this video before – but I ran across it again today and it seems fitting. I love how real Cindy is – how appropriate her lyrics and how cute she is even when she misses some of the words – it doesn’t even throw her off! This is for all my friends struggling and recovering from cancer – all those who have lost someone they love – and for all those who like me are searching for answers to unanswered questions of life. My prayer is that you will realize that the love of God is deep and wide – big enough for all these questions, problems, sickness and even death. And that you may know that you are not alone. 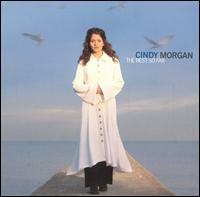 One of the very best songs by Christian recording artist, Cindy Morgan. I love these lyrics. Take a listen – when was the last time you were touched by the Master’s Hand? I wish…my friend didn’t have to deal with cancer AGAIN. I would say these lyrics by Cindy Morgan sum up EVERYTHING I’ve been feeling. This artist GETS IT. I couldn’t have said it better myself. Thanks, Cindy. Take a listen – God Bless. This wonderful song written by the great Cindy Morgan is fast becoming one of my favorites. Recorded a couple of years ago by the group “Point of Grace” it needs to be noted that Cindy’s original lyrics were slightly “edgier” for the simple reason, she said – “Because I’m married”. But because “Point of Grace” wanted to record it – they asked Cindy to rewrite the first two lines so it could be universal and not just for the married lady. I love how Cindy writes. She really seems to get it – the good, the bad and the ugly all mixed up together in wonderful and poignant lyrics that transcend gender, era and circumstance. I have posted her music videos before to showcase not only her songwriting ability – but also her great and versatile singing voice. She is also an accomplished pianist and often during videos she is playing keyboards. This song is about making every moment count. And as Father’s Day approaches – and we remember our Dads and our husbands – I want to challenge you to make every moment count with the “Dads” in your life – Hey – TURN UP THE MUSIC!!! Not going to lie – I cried like a baby viewing this great song sung by Mark Schultz. And Co-written with the great Cindy Morgan one of my all time favorite artists.